Hi all! 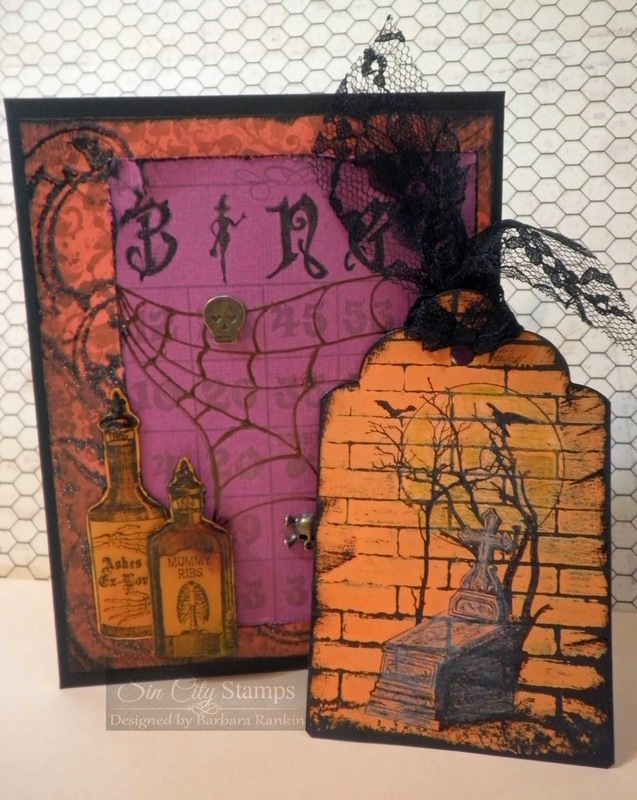 Barbara here with a fun Halloween project using a product from this month's sponsor, Gelli Arts, the makers of those fabulous gelli printing plates. If you have never seen or heard of these, you are in for a treat. They are so much fun and so easy to use. And they are a perfect complement to Sin City Stamps stencils and stamps. 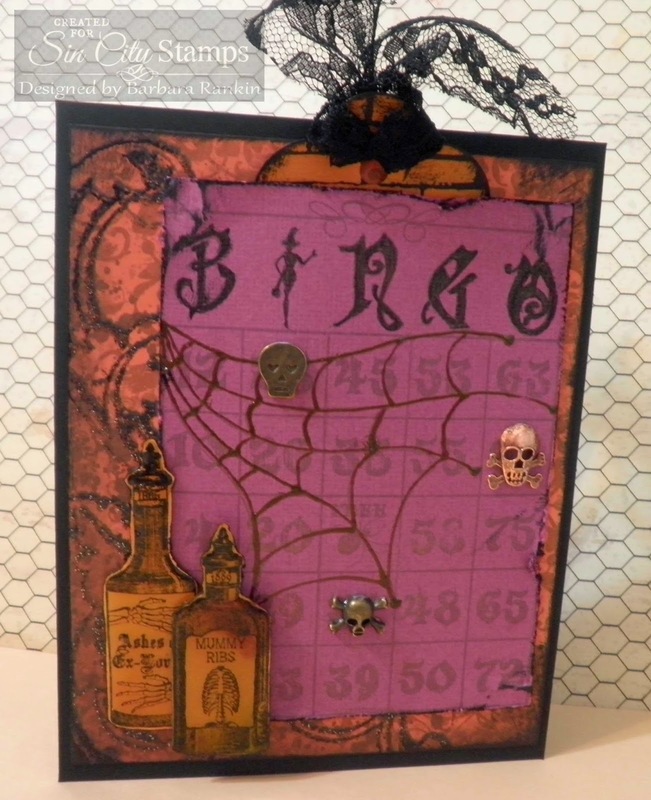 Halloween is one of my favorite themes, so I had to make a Halloween card. 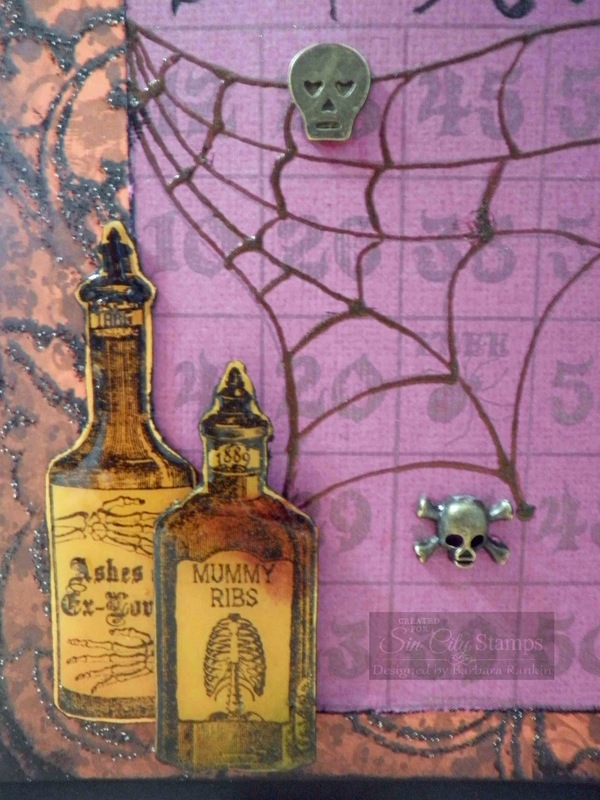 And Sin City Stamps has the best Halloween stamp plates. They have become my go to stamps for the occasion. I have prepared a short video on how to care for and store your Gelli plate, and to show you the process for making my gelli print, as well as putting my card together. Here are a few closeups for you. I hope you enjoyed my card project and video today. 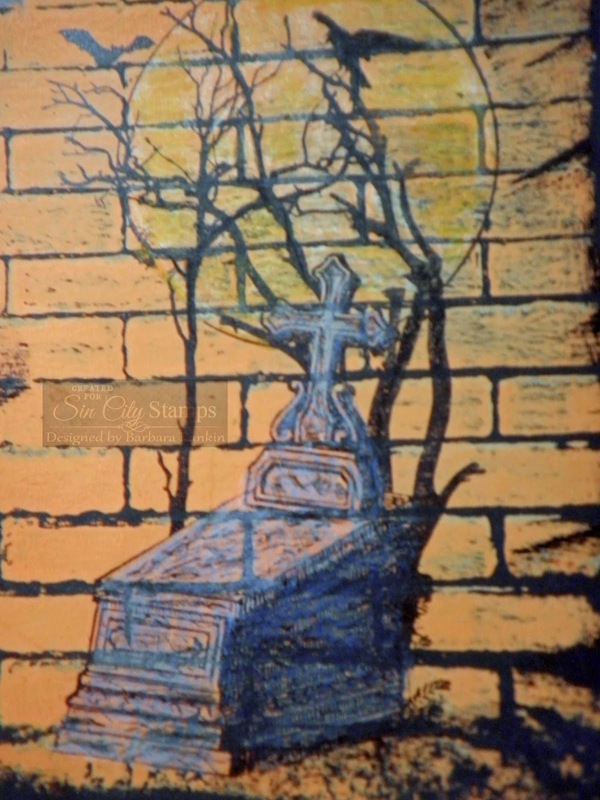 Please be sure to visit Sin City Stamps, too, for new releases and more products designed just for you! Love it!!! what a great card!! Great Barbara! Lots of details and elements. Love it! Fabulous card and video Barbara! !